Innovative technologies used in the Russia’s fifth generation T-50 fighter jet, which is currently undergoing tests before the start of production in 2016, makes it more of a flying robot than a plane, the developer said. "If we take the wingtip, from one perspective it functions as a wing, but from another it's also a part of the Himalaya active defense system," the official is cited by Sputnik news agency. KRET, which is a unit of state-run Rostech Corporation, has delivered the batch of Himalaya systems for the aircraft in October last year. “The unique system of active and passive radars and optical rangefinders is integrated into the aircraft body and acts as a 'smart skin'. Its use not only enhances the aircraft’s protection against jamming and its survivability, but also counters, to a great extent, the effects of low-observability [stealth] technology of enemy aircraft," the developer explained back then. 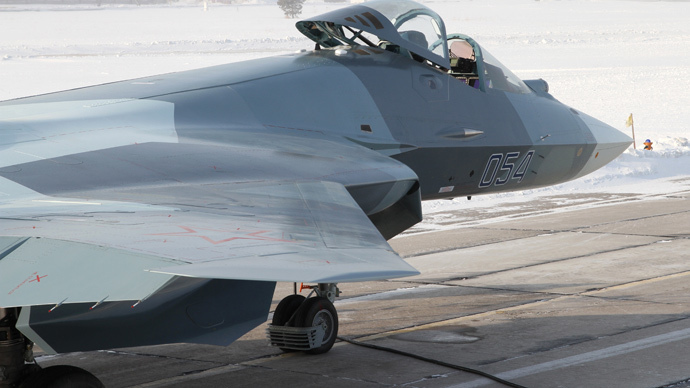 Previously, KRET said that T-50 is going to have the most advanced stealth capabilities, leaving even the only combat-ready fifth-generation fighter, the US Air Force's Lockheed F-22 Raptor, behind. “The T-50 is now ahead of not only all other fighters of the Russian Army, but also foreign models. For example, the visibility of the American fifth-generation F-22 fighter is 0.3-0.4 square meters," the developer stressed. 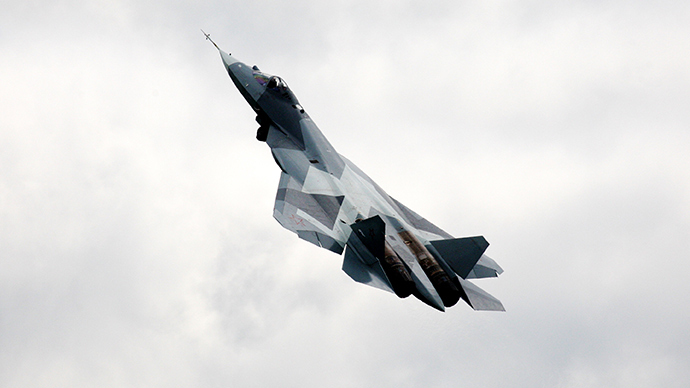 The Sukhoi PAK FA’s visibility stands at between 0.1 and 1 square meters, KRET added. Such high level of stealth was achieved by moving all weaponry s the inside of the jet and redesigning the shape of the air intake channel, which was also lined with a material that absorbs radio waves. 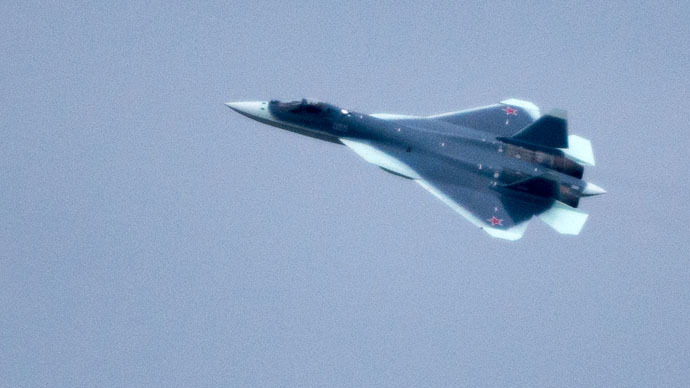 According to KRET, T-50 is the first jet fighter in the Russian Air Force to be “made from a high proportion of composite materials, making up 25 percent of the mass of the aircraft and covering 70 percent of its surface." The T-50 is set to replace the Sukhoi Su-27 and Mig-29 fourth generation fighter jet, which entered service in 1985 and 1983, respectively. Five T-50 jets have already been produced and three more are now under construction at the Sukhoi facilities in Komsomolsk-on-Amur in the Russian Far East, Vladislav Goncharenko, deputy director of the United Aircraft Corporation's (UAC's) combat aircraft department, said in December. The Russian Air Force plans to purchase 55 T-50 fighter jets between 2016 and 2020, Goncharenko said in December.